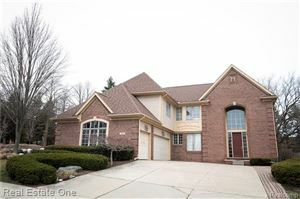 Great Quad Level on a cul-de-sac located on a beautiful private lake in Shelby Twp. The Florida room features multiple sliding glass doors that access the large multi-level deck over looking the water. Beautiful hardwood floors, solid wood doors. All appliances included. Some plumbing has been redone in 2017. Newer furnace 2015. This home is a investor's dream. Has a lot of potential!